Well I went 0 for October on posts. But I’m afraid that occasional black outs are the only way I am going to be able to sustain this blogging thing. October included a stretch of 5 campus talks in 3 weeks…so that is where most of my creative energy went. As always, links to those talks can be found here. But I have a few things lined up to run in the coming weeks, including a number of short pieces, a mostly music Fragments and Links post, and, eventually, a 2011 in books post. So stay tuned, for a strong (for me) end to 2011. This post was written while listening to the Thrice channel on Pandora. I went to the Thrice concert in Sacramento last Sunday. It was great. And then I found this. 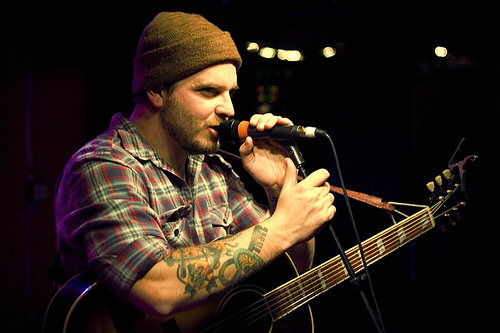 Turns out Dustin Kensrue also has three kids abut the same age as mine (all under 4). I love that he can still bring it. This entry makes me happy.